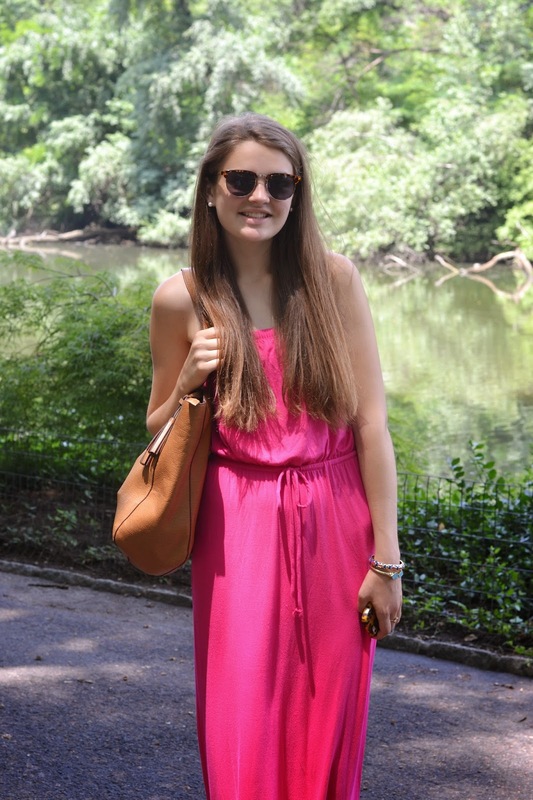 See my guide to finding the perfect maxi right here! When I was in NYC two weeks ago, I felt the same way! The heat + humidity called for light tops/dresses! 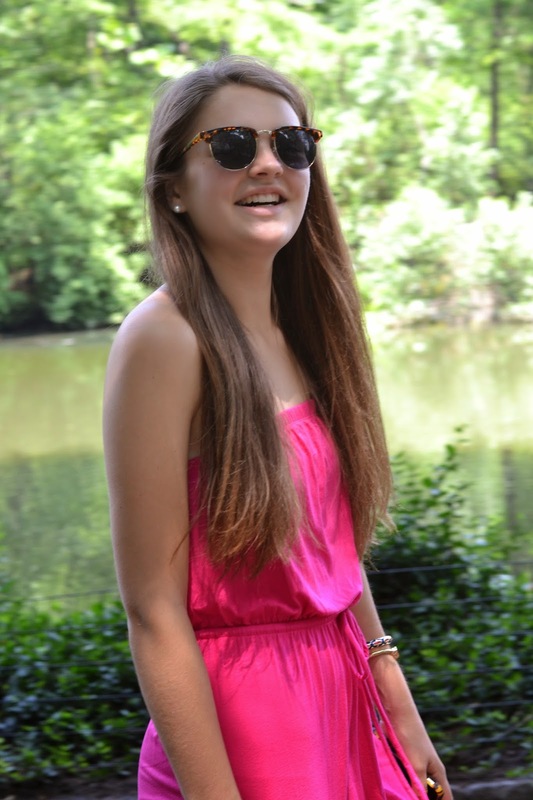 Love this dress, so fun and versatile! That dress is so cute! You have pulled it off fantastically! I have tried on maxi dresses but being so short (5'2") I feel like its all dress. I love your look and I hope you had a great time in NYC! I love that dress so much! Perfect for summer! Really love your style, I wish I could pull of maxi dresses! 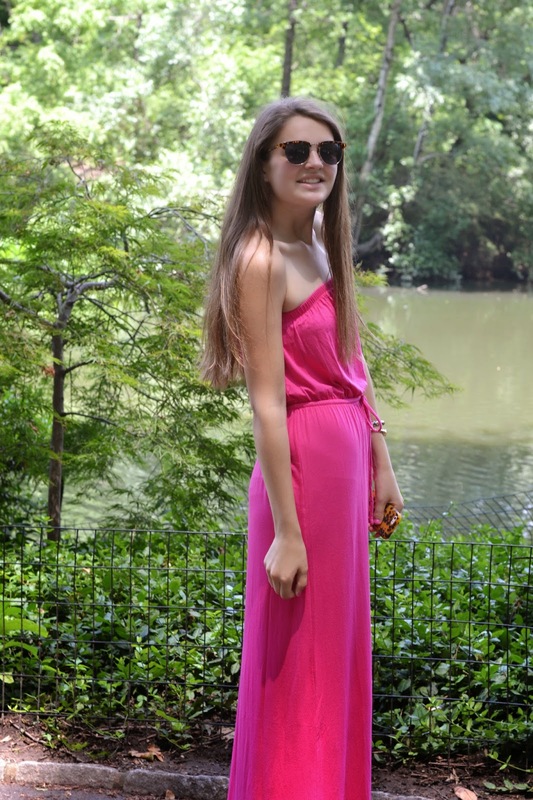 You look great in that hot pink maxi! LOVE! This is too adorable! I love it Caroline! That color is fantastic on you! 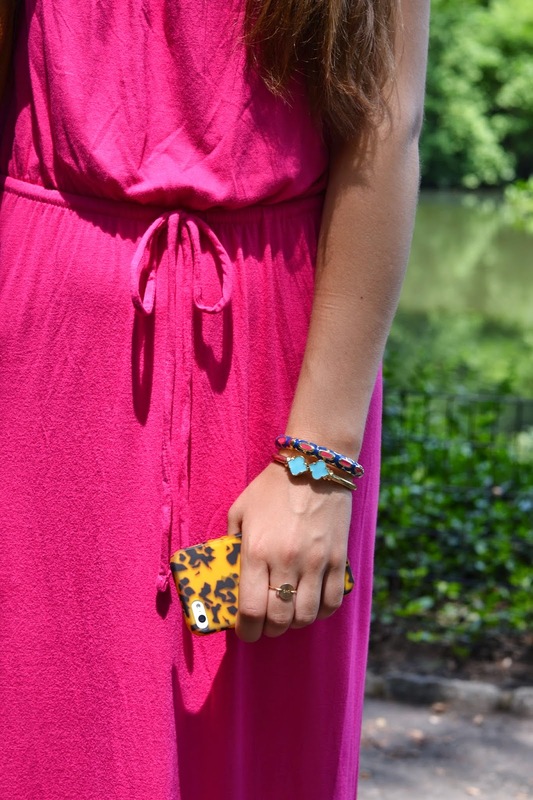 Such a cute maxi dress, Caroline! I LOVE maxi dresses, but every time I try one on, they just look awkward on me. You definitely rock it, though!